Excavation, Trenching Competent Person Training from WorkForce Safety Training. We go BEYOND the introductory classroom level. Excavation- Your competent person is called upon to make exceptionally important decisions. Their training MUST be advanced and superior, in order to avoid costly OSHA citations and penalties, and more importantly: SAVE LIVES! 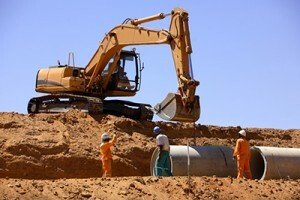 Competent Person Training in Excavation and Trenching from WorkForce Safety Training. We do it right, we do it best. OSHA defines a “competent person” as someone that “by way of training or experience, is knowledgeable of applicable standards, is capable of identifying workplace hazards relating to the specific operation, and has the authority to correct them.” OSHA also requires a competent person be present at every job site. We go beyond the introductory classroom level to provide our students with real-life scenarios and experiences, giving them valuable information to be useful in their decision making process. Call us today to schedule your class: 951-219-5203 OR 1-888-241-9513. To request more information or to schedule a consultation, fill out our form, or enroll online. SUPERVISOR TRAINING BOOT CAMP- Click here for more information. Duke University researchers have found that using a sequential trigger nail gun instead of a contact trip nail gun can cut the injury rate IN HALF.